Congratulations to CAASPP Award Winners! On January 29, select Santee Scholars were recognized for their performance on the CAASPP assessment. 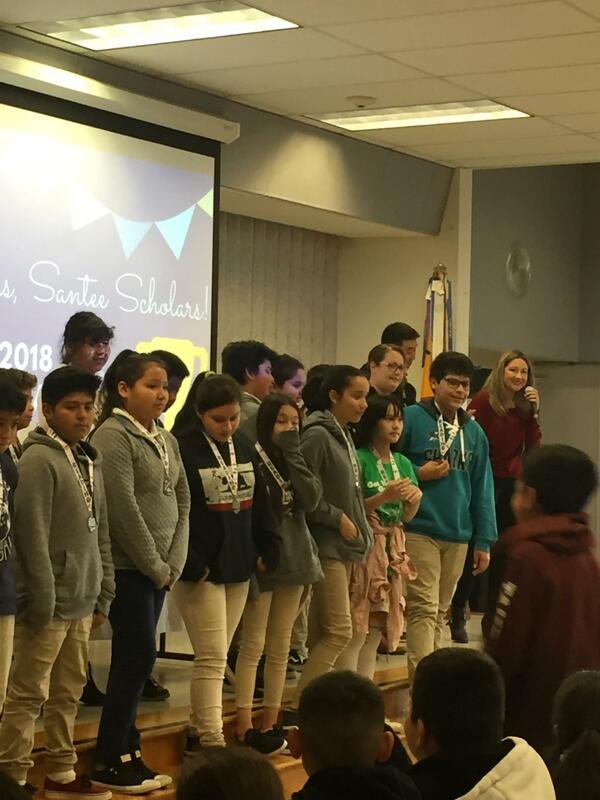 Many Santee Scholars received medals and trophies for meeting or exceeding standards on the California Assessment of Student Performance and Progress (CAASPP) at an assembly attended by third through sixth grade students. The assessment was established on January 1, 2014 and designed to replace the Standardized Testing and Reporting (STAR) Program. Third grade teacher, Jennifer Kerrick, commented, "I was so proud to see many of my former students on stage being recognized for months of hard work and commitment. CAASPP is a rigorous test, so to meet and exceed standards is commendable."